Nordic Capital is acquiring Signicat, which provides digital identity and signature solutions, and has partnered with Viking Venture to accelerate Signicat’s international expansion and product offering. The parties have agreed to not disclose any financial details. Founded in Trondheim, Norway in 2007, Signicat leads innovation in verified digital identity solutions. Its solutions enable companies to offer efficient and user-friendly advanced online authentication, identification verification and electronic signature solutions. Signicat has more than 500 clients, such as DNB, Klarna, Rabobank, Santander, Societe Generale and Western Union. 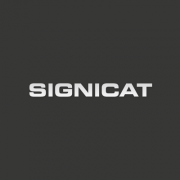 In 2018, Signicat said it generated revenues of approximately NOK 180 million (€19 million). The company has circa 115 employees across offices in Norway, Sweden, Finland, Denmark, UK, Germany, the Netherlands and Portugal. Signicat was acquired from Secure Identity Holding and other shareholders. Viking Venture, Signicat’s other major shareholder, will re-invest all proceeds and continue as a minority owner, together with employee shareholders and with Nordic Capital as the majority owner. The acquisition of Signicat is the ninth investment by Nordic Capital’s latest fund, Nordic Capital Fund IX with €4.3 billion in committed capital and which closed in May 2018.